Mitchell Johnson is crossing his fingers that the WACA pitch will return to its bouncy ways as he plays a rare game on his home ground. 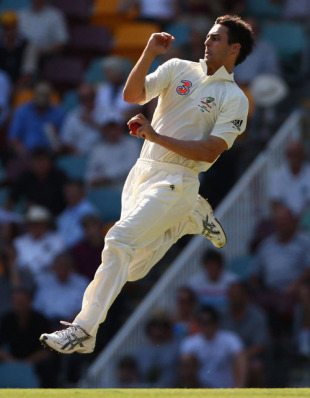 Johnson moved to Perth from Brisbane a couple of seasons ago but still hasn't appeared in a match with Western Australia, although he is back each year to play in the Test. West Indies have Kemar Roach, who is capable of speeds above 150kph, while the hosts have Johnson, Peter Siddle and Doug Bollinger in their line-up. Siddle has been struggling with a hamstring complaint and Clint McKay, the other fast man in the squad, should come in if Siddle is ruled out.